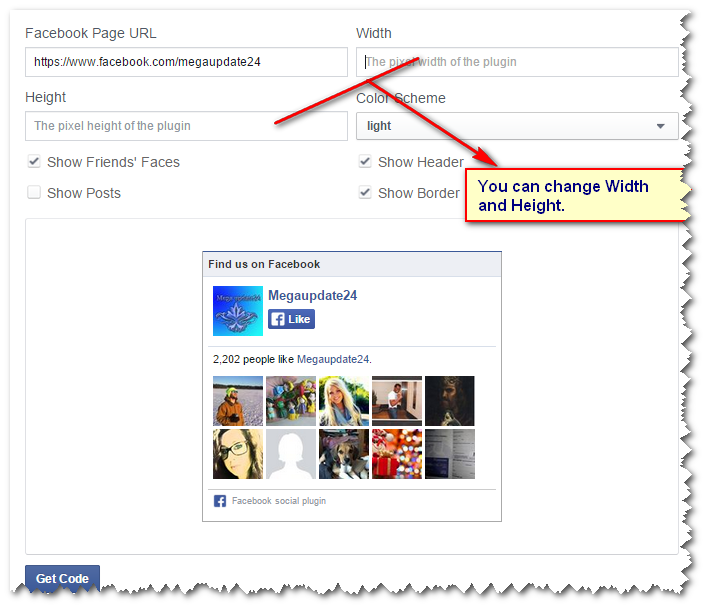 Facebook page widget for the website is an Important Widget or plugin for Blogger Layouts. It helps you for increase your Blogger or website traffic. By clicking your fan box like button visitors will receive your most recent and updated post on their Facebook wall. The box also shows the people whose that like your fan page. Before making a Fan Box, you should make a fan page by using Facebook. Now let to see how to add Facebook page widget for a website. Recommended: How to Add a Twitter Widget to Blogger Blog or Website. Step 1: Firstly you should login your Facebook and go to your Fan Page. Then copy your Facebook Fan page URL from address bar. Your URL look like this screenshot. 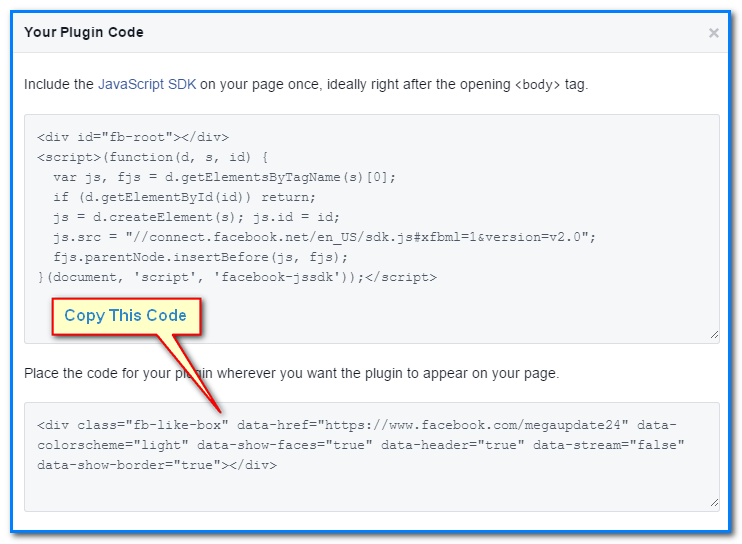 Step3: Paste your Fan page URL into Facebook Page URL field. Step 4: You can Modify this setting as your mind, after modification you click on get Code button. Step5: You'll be given four step like bellow image but you must click on IFRAME and copy the showing code. If you don't get the upper code you must look like this image bellow, then you copy second step code. Just copy these codes with change Facebook page ID edit green codes. And then paste the codes in your layout and you are done. Step 9: Now click save button and you're done. Recommended: Add Pinterest Mouseover Button to Blogger. 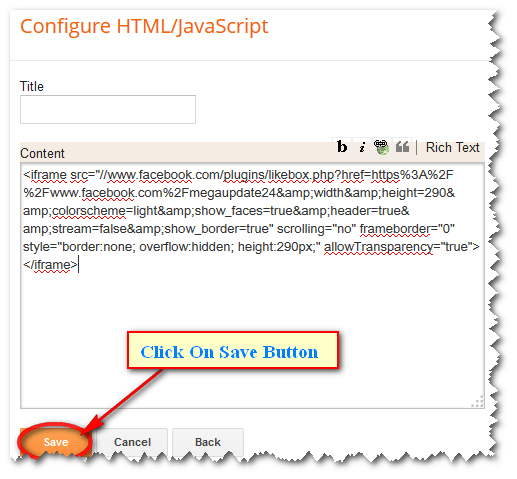 Hopefully, you successfully Add facebook page widget for your website. Don't forget to share Facebook, Twitter and Google+ if you like it.